PSAI Divers from Michigan Won’t Let a Little Snow Stop Them! A group from Michigan Adventure Divers, a PSAI Dive Facility, in Milan Michigan, refused to let a little snow stop them from completing their PSAI Open Water Diver Course. Note in the photo the snow covering the grass by the beach. 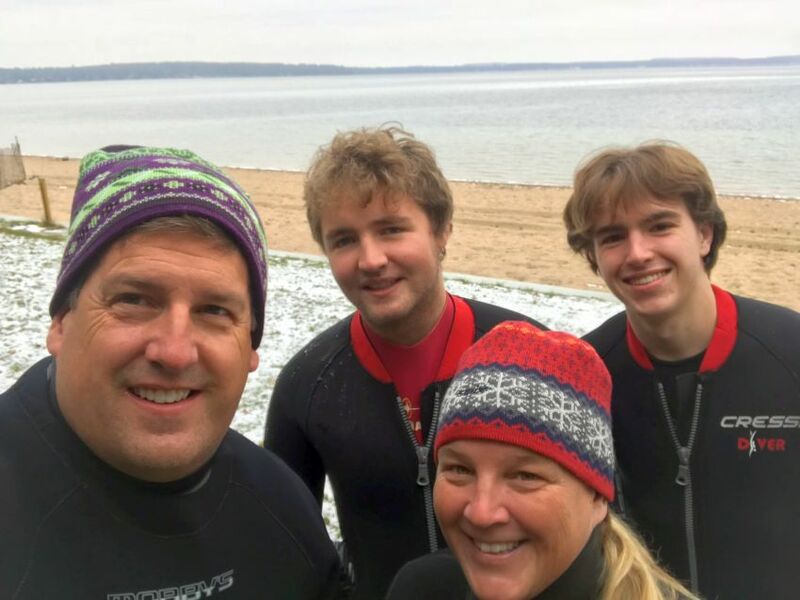 This group completed their PSAI Open Water course at Higgins Lake on Sunday November 12th and were greeted with an early snowfall.